One day of Calling hours in the afternoon & evening followed by a service at the funeral home or church the following day. This package includes basic services of the funeral director and staff ; embalming ; other preparation of the body ; viewing/visitation for one full day (at the Funeral Home or another location); funeral ceremony (at the Funeral Home or another location); graveside service with other services ; casket coach ;flower car/utility vehicle ; and transfer of remains to the funeralhome . This package includes basic services of the funeral director and staff ; embalming ; other preparation of the body ; washing and disinfecting unembalmed remains ;viewing/visitation for one evening (at the Funeral Home or another location); funeral ceremony (at the Funeral Home or another location); graveside service with other services ; casket coach ;flower car/utility vehicle ; transfer of remains to the funeral home ; and tent and chairs for graveside service . Calling hours followed by a funeral service on the same day. 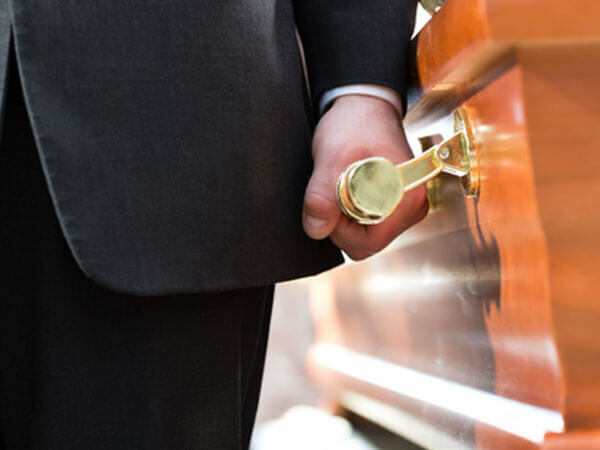 This package includes other preparation of the body ; hair styling ; washing and disinfecting unembalmed remains ;funeral ceremony (at the Funeral Home); casket coach ; flower car/utility vehicle ; and transfer of remains to the funeral home.